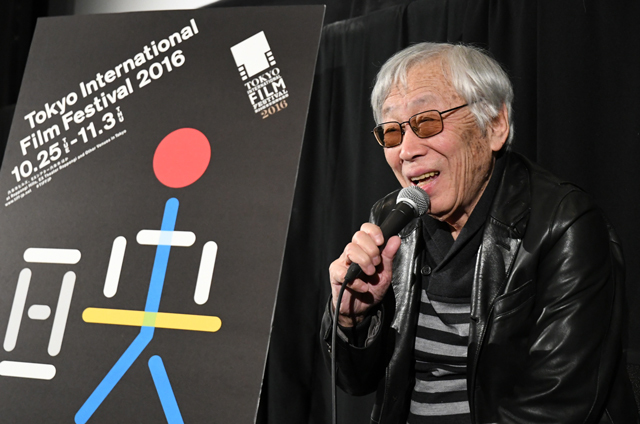 Six years after his last film, Wandering Home (10) opened the Japanese Eyes section at the 23rd TIFF, 81-year-old maestro Yoichi Higashi returns to TIFF with his creeping drama Somebody’s Xylophone, and proves he still has plenty of what it takes. Higashi’s filmography includes masterpieces like Third Base (78) and No More Easy Life (79), and several films about the complex psychology of the Japanese housewife. Somebody’s Xylophone concerns a lonely woman who begins stalking her hairdresser, and seems to be shot to purposely resemble a TV melodrama for bored housewives. But Higashi is actually parodying these soap operas; instead, his film begins to peel back layers of casually obsessive madness. The xylophone of the title is a musical link connecting an early, happy memory from childhood with her present isolated state. As opera music plays gently in the background, the camera slowly moves in on married woman Sayoko (Takako Tokiwa), indulging herself with a glass of red wine in broad daylight; a thirty-to-forty-something who has lost none of her youthful beauty, she does not appear to be as urbane as she imagines. She is thinking about Kaito (Sosuke Ikematsu), a charming hairdresser in Sayoko’s new neighborhood, a fashionable guy who is forever wearing scarves and hats inside the salon. After the usual practice of hairdressing, Kaito asks for Sayoko’s e-mail address so the shop can send promotional announcements. However, by the time their online exchange becomes casual enough for Kaito to send a picture of scissors, calling them his ‘fighter’s soul,’ Sayoko’s obsessive nature can no longer be hidden. Behind the backs of milquetoast husband Kotaro (Masanobu Katsumura) and her worried daughter, Sayoko not only visits the beauty parlor constantly, but also finds out where Kaito resides. Xylophone is a suspenseful drama and a dispassionate romance, with the housewife’s preoccupation soon threatening to destroy the equilibrium of several households. One audience member commented that she was interested in the ambiguity of the distinction between reality and imagination in the film. Higuchi joked, “Actually, I have trouble distinguishing what is reality and what is not. Somewhere in my mind, I’m not sure whether the fact that I’m here is a dream or not.” Even on a Sunday morning, the audience was clearly excited to see the legendary filmmaker’s latest work, about a protagonist with an unrelenting obsession, and director himself — and they knew his presence was not a dream.